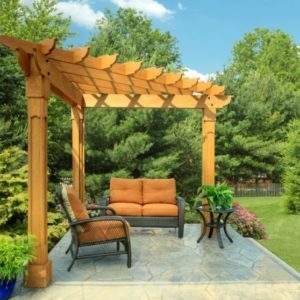 Comes in many sizes and from a #1 grade 40-year tested double kiln dried pressure treated wood. 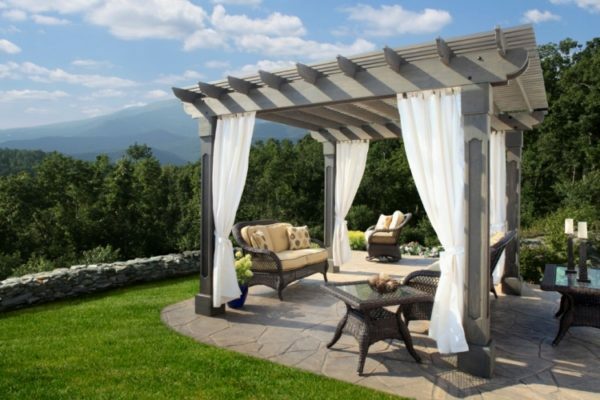 This pergola is shown with the storm cloud grey stain and curtains, both come in different colors. 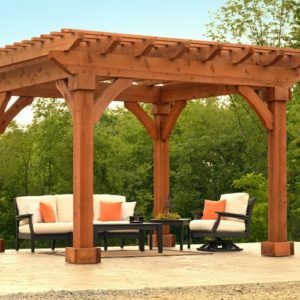 Â As you can see on our pictures the Sedona pergola can be mounted directly onto a patio or deck or we can customize to fit your stone columns. 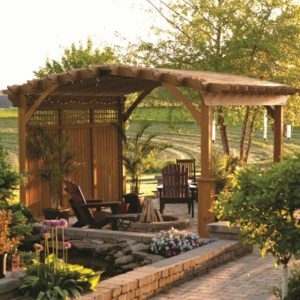 Â Putting up a pergola is easy so have fun with it and let your imagination run wild. Â The mountains and trees in this picture is a gift from Mother Nature.